EAT, DRINK, and DANCE under the stars at one of Kern County’s most treasured historic hotels, The Padre Hotel, featuring celebrity dancer, actress, and singer, Heather Morris, best known for her role as Brittney S. Pierce on the Fox musical-comedy series GLEE and Dancing With The Stars (DWTS) Season 24. 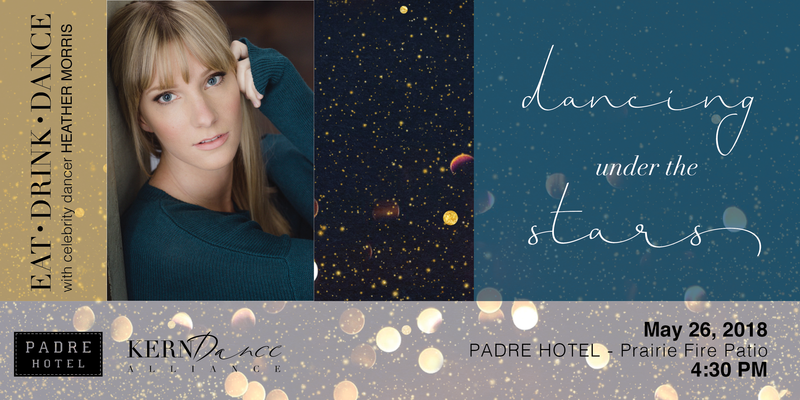 Take a dance class with Heather Morris and her partner from Dancing with the Stars, KC Monnie, eat delicious appetizers, drink fine crafted cocktails, and enjoy a mini performance and Q&A with Heather and KC on the Padre Hotel’s 2nd floor patio, Prairie Fire. The Dancing Under The Stars class is open to amateurs and novices alike. 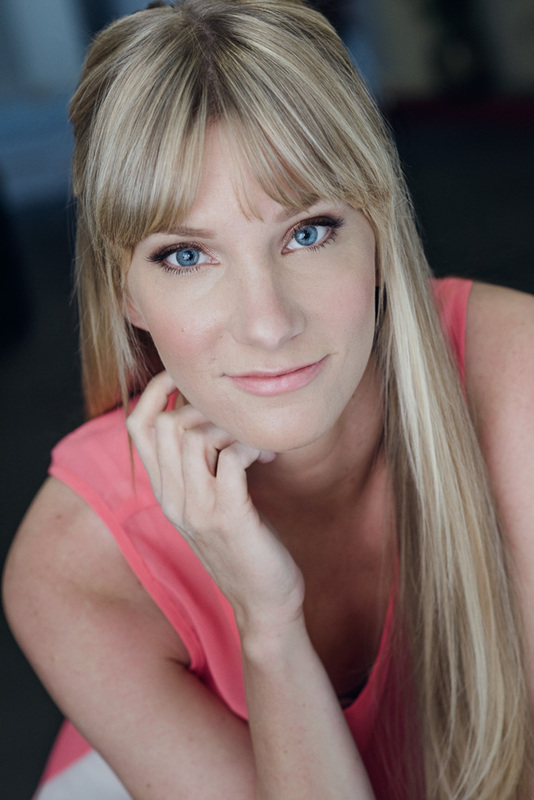 Heather Morris and KC Monnie will teach the Cha-Cha! Make a charitable donation to KDA and enjoy our whimsical and over-the-top ChaChaShake! Let your imagination and taste buds go wild with a signature drink created just for Dancing Under The Stars. The ChaChaShake blends liquor and food all in one unique libation! Don’t miss out, pre-order your ChaChaShake today by making a donation now. Heather Morris is a multi-talented actress, dancer, and singer. After moving to LA at the age of 19, Morris was invited to join Beyoncé’s “I Am…Sasha Fierce” world tour and continued on to appear in such iconic performances, such as the 50th Annual Grammys, alongside Beyonce and Tina Turner. She also appeared in the feature SPRING BREAKERS (Ashley Benson, Selena Gomez) and voiced the role “Katie” in the Family Friendly Franchise, Ice Age: Continental Drift. Heather has appeared on TV shows, including HOW I MET YOUR MOTHER and is best known for her role as Brittany Pierce on FOX’s hit series, GLEE, on which she was a series regular. Heather appeared on the last season of Dancing with the Stars, Season 24 as Maks Chmerkovskiy partner an experienced a shocking elimination during week 6! A Dancing with the Stars regular dancer, KC Monnie will add extra star appeal to the evening. You want to dress up for your night on the town, but it’s also important to feel comfortable dancing. Comfortable shoes that won’t fall off. You’ll be on your feet, and you’ll be busting a move! Wearing heels? An ankle strap is helpful. Clothes that don’t impede your movement. Can you move your arms? Can you move your legs? Can you carry a cocktail? Do I have to have prior dance experience? No – not to worry! We are all beginners at something, and we want you to have fun! No partner? No problem! There will be plenty of people to dance with. You can bring a dance partner or mix and mingle- everyone is welcome.